Jun17 Comments Off on America’s First Daughter is a Wall Street Journal Bestseller! America’s First Daughter is a Wall Street Journal Bestseller! Just a quick note of celebration, because more good news keeps pouring in! 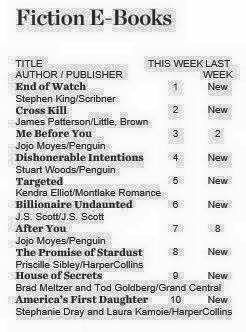 We’ve just learned that America’s First Daughter hit the Wall Street Journal bestseller list this week, too! We’re just thrilled and so, so grateful. Thank you for all the wonderful support! ← America’s First Daughter is a New York Times Bestseller!